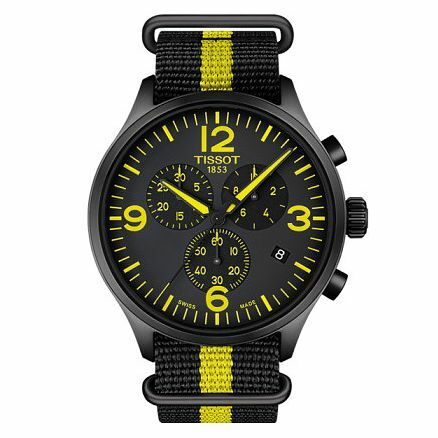 A striking sporty design that features bold black and yellow colours with three subdials added to track additional layers of timekeeping. A textured strap securely holds the watch into place with a clear white date aperture standing out for added effciency. Enjoy a chronograph that has been made with decades of Swiss precision in watchmaking. With 150 years' of Swiss watchmaking heritage, Tissot offers sports and classic timepieces using innovative technology. Tissot Men's Chrono XL Black Strap Watch is rated 5.0 out of 5 by 1.